Well hello there! Switching it up a bit and doing a post on a Tuesday! Isn’t that part of a song! I feel like it is! 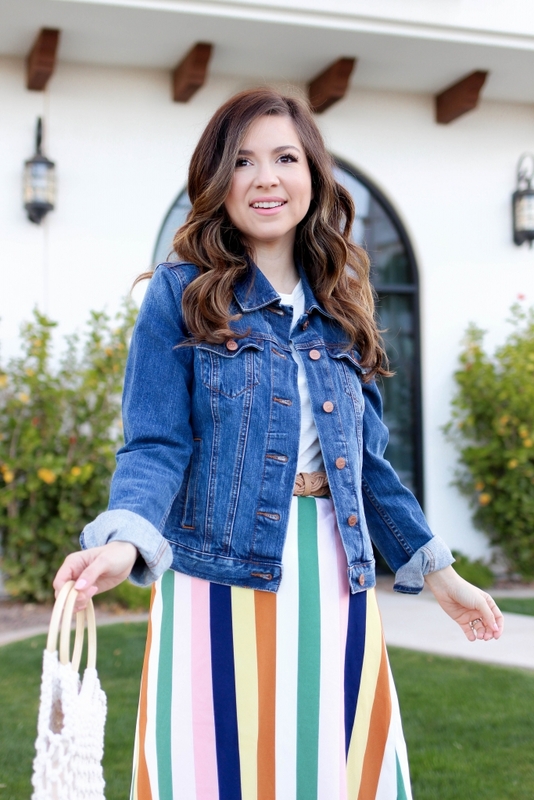 Today I’m not only chatting about this multi color striped skirt but I am also sharing a giveaway! 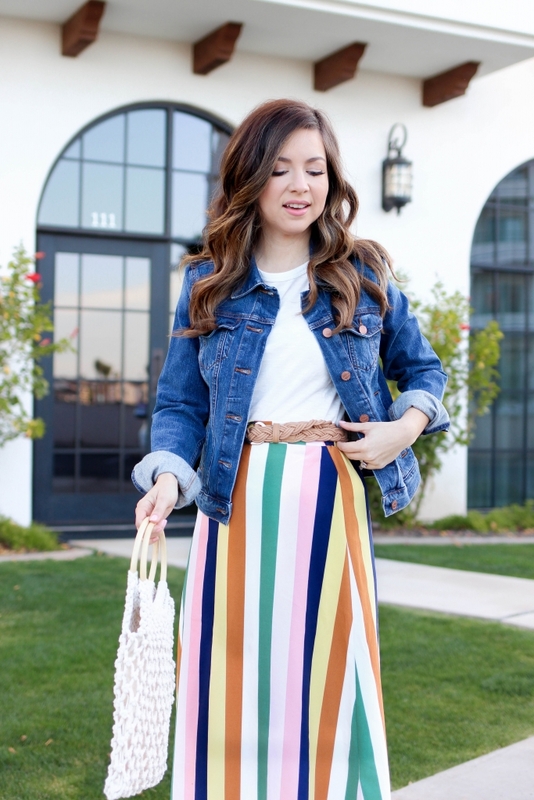 If you don’t have a multi color striped skirt in your wardrobe you have got to get one! I found this one a few weeks ago for under $30. I searched high and low for this exact one but couldn’t find it but NO WORRIES I did find a few similar ones for affordable prices. 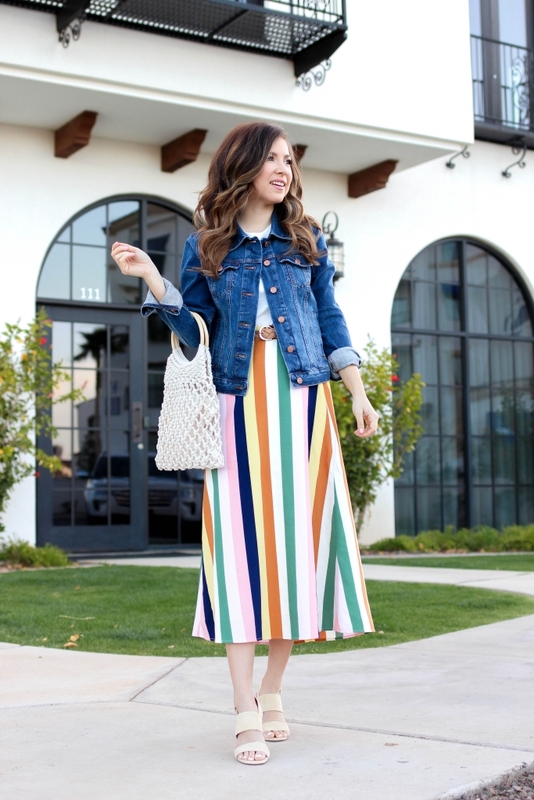 That way you can can easily recreate this multi color striped skirt outfit. 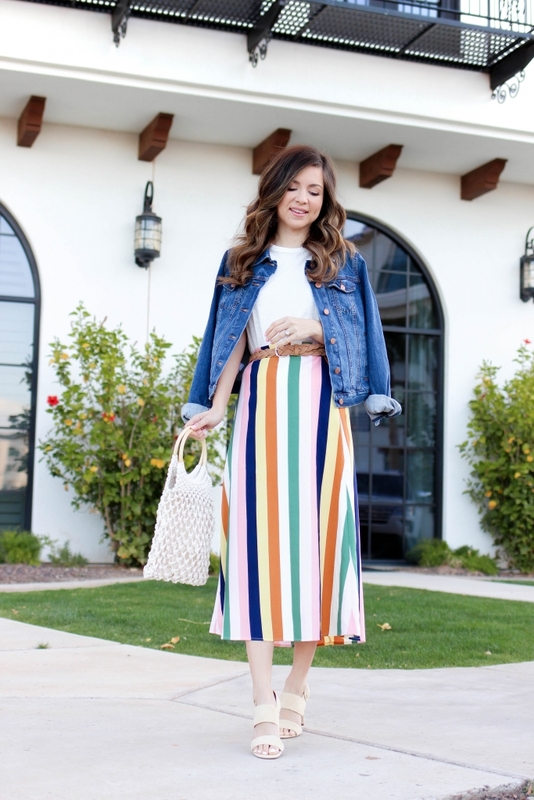 When it comes to how to wear a multi color striped skirt it really fun and simple. I love that you can wear a variety of colored tops! For instance if your skirt has blush pink you can do a blush pink top with it. For my skirt look I opted for a comfortable white tank top tucked in. I then added my go to denim jacket, braided belt and new soft yellow sandals. I really wanted to add in a few extra colors into my shoe collection and these comfy yellow buckle sandals are perfect! 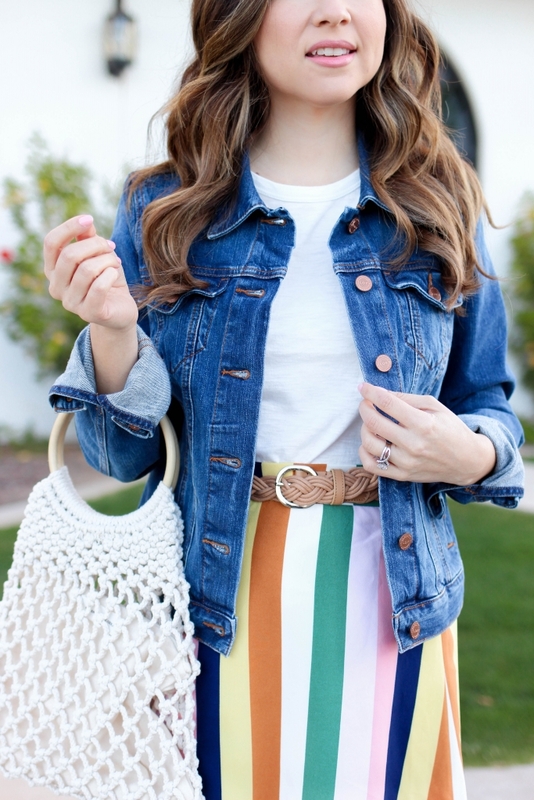 What do you all think of this multi color skirt outfit? Overall it’s a great spring outfit but I also think it would be great as an option for easter. Before you hop on down to the AMAZING giveaway below I want to let you know that I’ve linked ALL the similar skirts for you above along with the rest of my outfit! Thank you so much for reading today’s post! I appreciate you all and am so excited to see who wins! PS If you love skirts you are gonna LOVE this ruffled one!